The Path to Weight Loss has a rating of 4.0 stars based on 10 reviews. The Path to Weight Loss is a 7-day video program featuring interventions that Tony Robbins had with individuals struggling with weight loss for strictly emotional reasons. Each of the women featured in these one-on-one sessions had been overweight for more than 15 years, but, with Tony’s help, they were able to lose between 30 to 260 pounds without any pills or traditional diet foods. This program will show you what triggered change in each person, and how, using the same strategies, you can trigger your own transformation. While the interventions feature women, the strategies focus on altering your psychology and are effective for anyone. "Deciding to commit yourself to long-term results rather than short term fixes is as important as any decision you'll make in your lifetime." 2 audio CDs: Two new sessions with Tony Robbins on the psychology behind what triggers weight loss and makes it last as well as a simple tool to eliminate negative urges in minutes! 4 DVD Films: Tony Robbins talks to four women about the inner conflicts inside them that keeps them from moving forward, that causes them to start to lose the weight and then pull back. 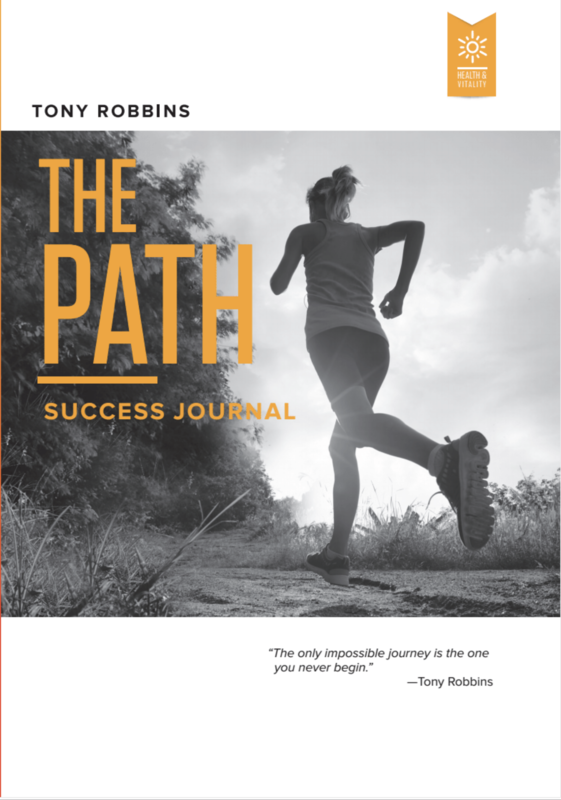 Success Journal: valuable summaries and thought-provoking exercises that will help you turn your dreams into realities. Urge Buster Cards: to curb your urges on the go. Bonus DVD: Hear Tony’s conversation with Lindsey, a woman overwhelmed with family and financial obligations and discover how she turned it all around. Transform your emotions around weight loss to live a healthier life – for good. Do you often turn to food in times of stress, pain or uncertainty? What if you could eliminate the negative behaviors that cause you to emotionally eat? In this program, you will meet four women who have struggled with their weight for decades and watch how Tony is able to identify the harmful patterns that have prevented them from making progress. Witness how, in about an hour, they were able to break through their obstacles and finally create the lasting change they desired. How were they finally able to lose the weight? A moment of clarity, inspired by Tony’s strategies, triggered the authentic inner change they needed to experience a real, lasting transformation. Each woman discovered the negative forces that were keeping them in a cycle of harmful behaviors — and the forces keeping them unhealthy were also preventing them from experiencing true fulfillment. Through Tony’s coaching, they broke their old patterns and replaced them with empowering ones — patterns that helped them lose the weight, and keep it off. The unique approach Tony uses in these videos is the same that he has used to create change in millions of people around the world. Years later, these women not only maintained their ideal weight, but were happier and more fulfilled than they previously thought possible. You won’t find the usual talk about diet, calories, nutrition or exercise in this program. Instead, you will transform your emotions to get at the root of what’s preventing you from having it all.Break through your harmful cycles and start living a life of health and fulfillment with this risk-free opportunity today! An introduction to the unhealthy emotions keeping you overweight and a lesson in identifying how you create pain in your own life. We meet Beverly and watch how Tony helped her lose 200 pounds in a natural way. Learn the six human needs and identify how you can meet all of them – without unhealthy food habits. Destroy unhealthy behaviors and replace them with healthy, lasting patterns with the Urge-Buster technique. Hear the story of Sheila, who found herself overweight and unhappy as a result of her own self-sabotage. Learn how to break through your own patterns of restriction to become your true self. Meet Regina, who had a history of overeating to replace her cravings in relationships and other areas of her life. Discover why we make harmful decisions and how you can avoid them yourself. Tony helps Guila overcome her emotional overeating to not only lose weight, but open herself up to finding the love of her life. Using everything you’ve learned, eliminate the negative emotions that have prevented you from losing weight to create a new, healthy life. In this bonus video, you will meet Lyndsey, who was at her breaking point, and watch how she was able to make a change that put her on the path of fulfillment. After my mother died of breast cancer and both of my sisters were diagnosed with it, I knew I had to take action to get healthy. I started listening to Tony’s programs and implemented many of his strategies, making significant mental and dietary changes. I am in the best shape I’ve been in since my 20s! Don’t have a CD player? Want flexibility and access to the program, at all times? 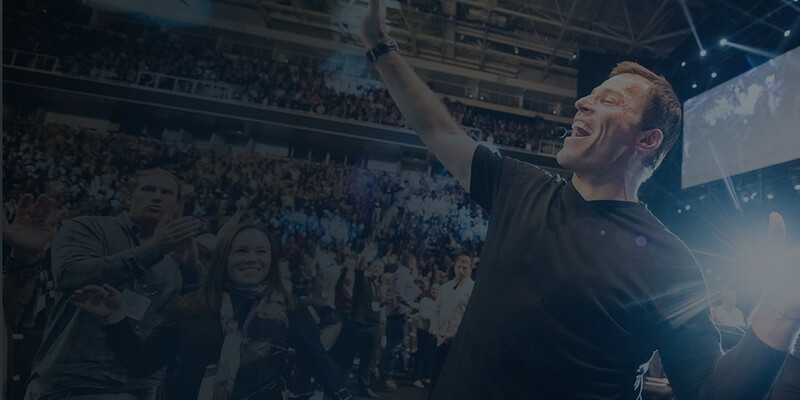 With The Path to Weight Loss on the Breakthrough app, you will be able to access all 10+ hours of Tony Robbins audio content that will provide weight loss motivation, on the go, through a mobile application. Fumbling with your mobile apps? Do you prefer listening to CDs? If yes, this is the version for YOU! Imagine inserting your The Path to Weight Loss CD, pressing play and finding the motivation to lose weight that you’ve always wanted so you can start to truly live and enjoy the rest of your life! Moreover, the audio quality is great. After purchasing The Path to Weight Loss, you will receive an email with your access information. In the email, you will receive a link to download the mobile application, Breakthrough. The app is available in the Apple App Store and Google Play Store. In addition, you’ll receive access to all the resources for the program, within the welcome email. Already have the app? No problem, simply refresh your product list or sign-out and log back in to gain access to your newly purchased product! 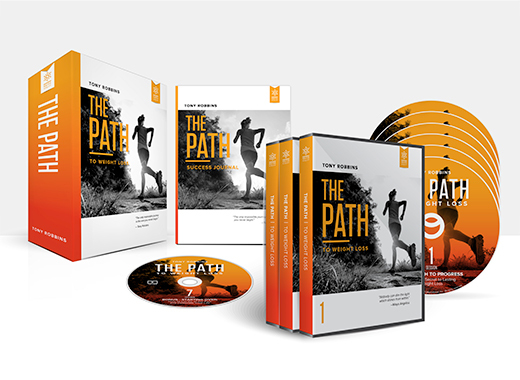 The Path to Weight Loss will arrive in a box that contains, your CD and DVD program, bonus content and personal journal.